We’re taking pity on you — it will be a soft stage, but only because this stage is prior to the most extensive stage in the history of Transandes Challenge! 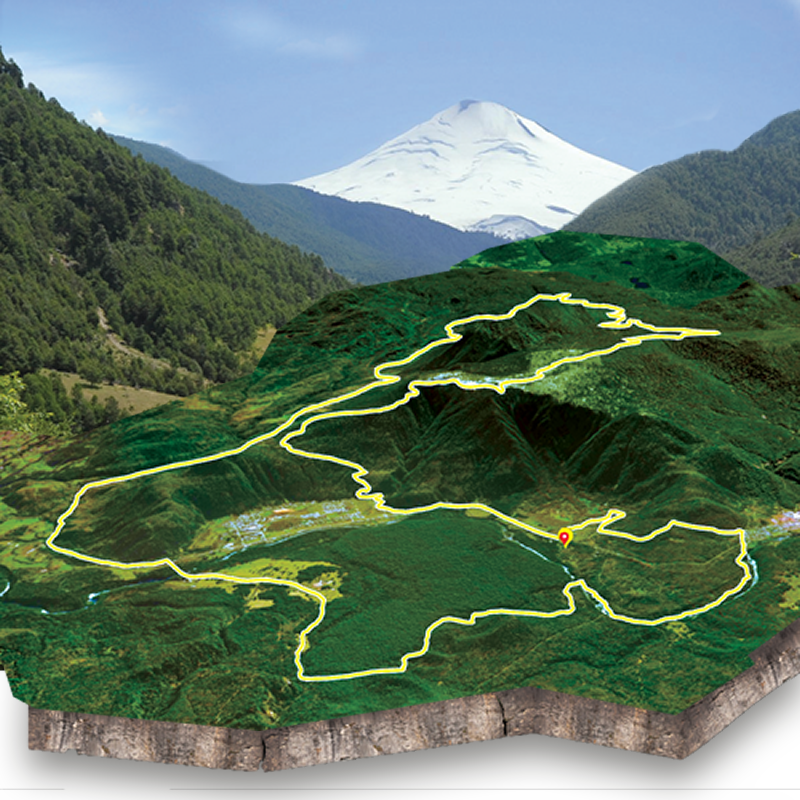 From the start line, you will take technical roads uphill towards Puerto Fuy again but through different paths. Then by technical trails you will reach the suspension bridge that crosses the river Fuy. After reaching the sector of the Salto del Huilo Huilo will begin a long and smooth rise. From there, you will take a dizzying, thrilling descent! In this one, you will lose 700 meters in just five kilometers. Just 3 kilometers left to the Finish Line.